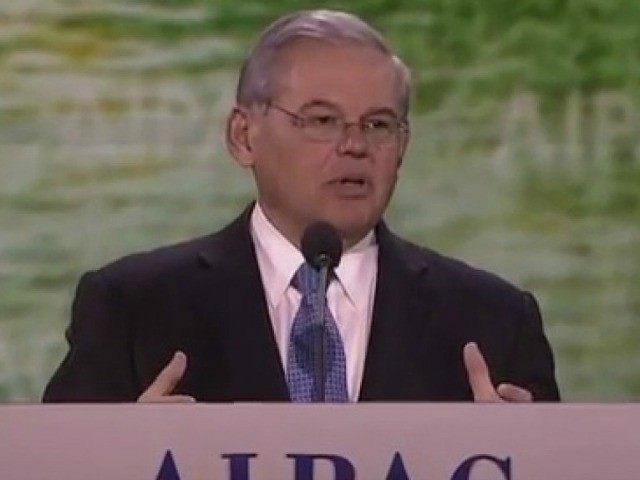 WASHINGTON — Senior Sen. Robert Menendez (D-NJ) blasted the Obama administration’s Iran policy while delivering a speech at the American Israel Public Affairs Committee (AIPAC) national conference. “When it comes to defending the U.S.-Israel relationship, I am not intimidated by anyone–not Israel’s political enemies, and not by my political friends when I believe they’re wrong,” declared Sen. Menendez before an enthusiastic AIPAC crowd. The New Jersey Senator spoke minutes after President Obama’s National Security Adviser Susan Rice, who earlier in the week criticized Prime Minister Benjamin Netanyahu for accepting House Speaker John Boehner’s invitation to address Congress on March 3. Netanyahu’s speech, she argued, would be “destructive” to the U.S. relationship with Israel. Rice’s speech at the AIPAC conference was received with open disdain. The crowd applauded in favor of the policies with which she expressed disagreement. In a recent interview with Reuters, President Obama downplayed the tensions over Netanyahu’s speech to Congress, saying it would not be “permanently destructive” to the U.S.-Israeli relationship. Nevertheless, Obama strongly criticized Netanyahu’s position, emphasizing that a “substantial disagreement” exists between them on how to prevent Iran from acquiring a nuclear weapon. President Obama told Reuters that he wants Iran to verifiably freeze their nuclear activity for at least ten years. Israel, throughout the P5+1 talks with Iran, has stressed that it supports dismantling Iran’s uranium enrichment capacity. “Let us do all we can now to get an agreement that dismantles Iran’s illicit program and ensures that it will not have to be a military response,” he added. If what the published reports describe are true–and it is a deal where Iran remains a threshold nuclear power for the next 10 years–with the potential to build up its nuclear infrastructure–in exchange for large scale sanctions relief and access to currently frozen assets–especially in the last 5 years, that essentially makes this a 5 year deal, not a 10 year deal, let alone the 20 years we were originally seeking–if that’s the case, then we’ve gone too far toward Iran’s positions. “Here we are, near the end of negotiations, and the goal posts have moved from dismantlement to reconfiguration. From a peaceful nuclear program to just enough to detect break out. From no right-to-enrichment to getting an alarm system,” he later added.